Health Care Heroes will be honoring those organizations and individuals that have made an impact on the quality of health care within Maryland. What’s the best hospital in on Long Island? Restaurant? Law firm? Everyone has their own opinion – and we want to hear yours. Take the LIBN Reader Rankings Survey and cast your vote! This is a new event we launched started in 2018, and we're doing two in 2019. Each September, the Idaho Business Review honors the top construction projects completed in Idaho the previous year at an awards and networking event. Idaho Business Review’s Excellence in Finance awards program celebrates financial professionals in banking, corporate, investment and professional, whose fiscal accomplishments set a high bar for their company and Idaho’s business economy. 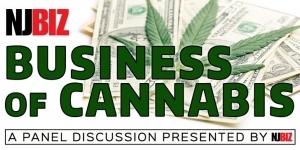 This will likely be a half-day event that's a combination of networking and panel discussions. Leading Women identifies women age 40 or younger for the tremendous accomplishments they have made so far in their career through professional experience, community involvement and a commitment to inspiring change. Best Places to Work on Long Island is a survey competition to determine which participants are the best employers. The process is managed by Best Companies Group (BCG) and winners are published by Long Island Business News.